January 2016 - Things To Do In London. Goodness me, another year has gone by and we take our first tentative steps over the threshold of 2016. Where does the time go? Well, hopefully, some of it goes on visiting the great free attractions that London has to offer and, to that end, I have compiled my first list of things to do in London in 2016. Happiness, tranquility and innocence are three themes that crop up on this month's list. But I've also chosen to commemorate the anniversary of the execution of Charles 1st and the 30th birthday of the Saatchi Gallery over in Chelsea. So, hopefully, you will find it to be a pretty eclectic offering and there'll be something to suit all tastes. My walks will be continuing throughout the winter months, albeit on a reduced schedule. The Jack the Ripper walk will be going every night, and my ghost walks will take place on selected Fridays and Saturdays. I will also be conducting my annual Dickens birthday bash (well actually it's a walking tour) on Sunday the 7th February 2016 at 2pm, in celebration of his 204th birthday. You can get full details here. I'm also pleased to announce that the Sunday morning Hampstead walk will return on Sunday March 20th 2016 at 11.45am and you can get details of that on this page. So, all in all, there are some great locations to get out and about to in London and, as per usual, they're all free, so enjoy. Just to remind you that I also post updates and additional venues on our Facebook page, so you might like to join us and like us (as in Facebook likes!) to ensure you're kept fully up to date on what's happening in London during the weeks ahead. As ever, if something changes in the weeks ahead I will put the update on the Facebook Page, in order not to bombard you with emails. So, without further ado, here is my January 2016 list of ten things to do in London. Need a little more enlightening? Click Here. Taking place across London, you'll see the city transformed into "an extraordinary nocturnal delight." with light installations by 30 leading artists as part of the first ever Lumiere London event. The artworks for the London festival will be based at various locations across the Capital. These are King's Cross, Mayfair and Grosvenor Square, Piccadilly, Regent Street, Leicester Square, St James's, Trafalgar Square and Westminster. Installations will include a "life-like elephant" in Piccadilly and LED stickmen "running riot" over Regent Street's Liberty House. What's not to love? Free, but donations are welcomed. Raise a smile on their website by clicking here. What a wonderfully jolly idea for these bleak winter days, the World's first Museum of Happiness that should bring a smile to the face of even the most jaded and put upon commuter. There will be workshops, guided mindfulness exercises, laughter yoga, and playshops; not to mention face-painting (for children and adults alike), colouring in and a ball pit. Phew, I'm exhausted just thinking about it. I particularly like the idea of a kindness tent, "where visitors will experience random acts of kindness." In short, and to quote from their website, "...The world's first Museum of Happiness will be creating the space for you to explore wellbeing in fun, interactive and engaging ways - with no hidden agenda." Dress in whatever makes you happy. Wigs, hats and fancy dress very welcome! But normal clothes are totally cool too. "This event has been extremely popular. So arrive early if you want to attend a workshop or other activity. You're not guaranteed a place for anything due to high numbers, but you should be able to see some of the displays and enjoy the atmosphere and people - it'll be fun, we hope! " For further details go to their website by clicking here. I was, I must confess, somewhat taken aback by the stark statistic that, between 1869 and 1970, some 100,000 British children were sent overseas by migration schemes, which were run by a partnership of charities, religious organisations and governments, and claimed to offer boys and girls the opportunity of a better life in Britain's Empire overseas. For many, the separation was permanent and they never saw their families again, a heart rending thought if ever there was one. This harrowing - and, given present day World events, extremely topical - exhibition tells the stories of those child migrants who were sent to Canada, Australia and other Commonwealth countries. It consists of detailed first-hand accounts, photography and personal items which belonged to child migrants, and features video and audio which recount this period of history. In addition, there will also be a series of specially commissioned folk songs by leading British musicians including John McCusker, Julie Matthews and Boo Hewerdine that capture the reality of child migrants' lives, which visitors can listen to at certain points in the exhibition. Mondays and Thursdays to Saturdays: 10am - 4:30pm. Wednesdays: 10am - 9pm, Sundays: 11am to 4:30pm. Closed on Tuesday. Please excuse a brief burst of emotion. WOHOO Two Temple is opening again! 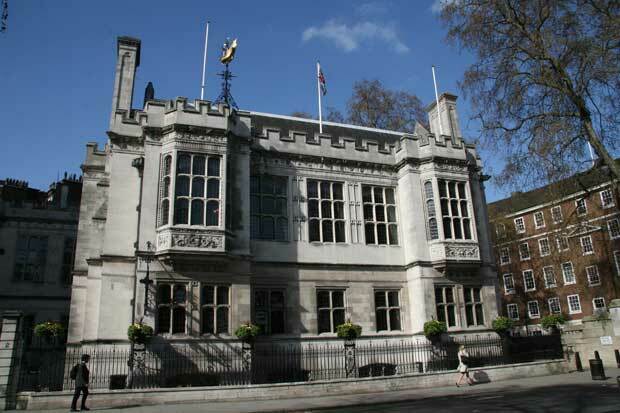 I honestly consider Two Temple Place to be one of London's true secret treasures. It is nothing less than a neo-Gothic mansion slap bang in the centre of London and yet, it is easy to pass without even realising it is there! Built between 1892 and 1895 for William Waldorf Astor, the, then, "richest man in the World", no expense was spared on its construction and the opulence of its interior will, quite literally, take your breath away. It has also been featured in Downton Abbey! Two Temple Place is owned by The Bulldog Trust and isn't open to the public very often - and when it is open it is mostly for special exhibitions - so the upcoming exhibition Beyond Beauty - Transforming the Body in Ancient Egypt will provide a rare opportunity to see inside one of London's most exquisite mansions. Mondays between 11am and 3pm. Although they do open on other days, so give them a call or contact them via their website. London is full of surprises, of that there is no doubt. And, one of the most delightful surprises is the tiny St Ethelburga's church, which nestles between the high rise concrete and glass towers on Bishopsgate. It is, to quote their website, nothing less than "an oasis of peace in the busy City." Although one of the oldest City Churches, little St Ethelburg's was all but destroyed by the IRA Bishopsgate bomb in 1993 and was, more or less, totally rebuilt as a Centre For Reconciliation And Peace. Hidden behind the church, somewhat out of sorts with the construction work going on right alongside it, is a lovely secret garden, the centre piece of which is a meditation tent. The Tent itself, which was made in Saudi Arabia, is an unusual 16-sided structure covered in woven goat's hair and is intended as a safe and dignified space without any symbols of any specific religion and the windows of which carry the word "peace" in 7 languages. Who'd have though it? The Saatchi Gallery is 30 years old and is approaching its middling years by staging its first all female show. Entitled, Champagne Life - a title taken from a work by exhibiting artist Julia Wachtel - a cast of emerging female artists interpret what it means to be a female artist working today. The Nearest Underground Stations are Embankment or Temple. What can I say? I'm an old romantic at heart. So, when I heard that Somerset House would be collaborating with Nobel Prize-winning author Orhan Pamuk to stage a "physical manifestation" of his novel The Museum of Innocence, I got a refund on this year's Valentine's card and instead purchased free tickets for me and Mrs. Jones (see what I did there?) to experience the story of engaged wealthy socialite Kemal Bey's obsessive love for Fusun, his twice removed cousin and a beautiful shopgirl, through an array of everyday items which have taken on special emotional significance as mementos and keep-sakes of the couple's ill-fated romance. I might well need to end the day with a visit the centre for Reconciliation and Peace at St Ethelburg's but, hey ho, it's the thought that counts. Joseph Merrick, the so-called "Elephant Man", was being displayed at a Victorian freak show on Whitechapel Road when hospital surgeon Frederick Treves first encountered him. The hospital's wonderful little museum is a fascinating place that tells the story of, not just the hospital, but also of the various people - famous, infamous and otherwise forgotten - who have over the years worked at or been treated at this local institution. All in all, a fascinating hour or so can be enjoyed here. 5pm Monday to Friday, 3pm Saturday and Sunday. The Nearest Underground Stations are Westminster or St James's Park. There's no doubt about it, Westminster Abbey is a special place, but it can get crowded and, as a consequence, its spiritual side often gets trampled underfoot by the hordes of visitors who flock to visit it. However, Evensong is a different experience altogether. Sitting there, listening to the voices of the choir, drifting around you, you come to see the Abbey as a truly spiritual place and there is no better remedy for the stresses of our fast paced 21st century lives, as you come away feeling energised and re-charged. It is free of charge to attend, and, if you wish, you can also attend other daily services as well. Keep in mind it is popular so it's advisable to get here early. The Nearest Underground Stations are Green Park or St James's Park. King Charles 1st was beheaded on 30th January 1649 outside Banqueting House on Whitehall. Each year, for the last 40 years, the English Civil War Society have commemorated the King's demise on the Sunday closest to the anniversary with a parade that follows the route he took from St James Palace to the place of his execution. The parade assembles from 11am outside St James Palace, on The Mall side, and then marches to form up on Horse Guards Parade, from where a wreath is carried across Whitehall and placed at the execution site. I hope you find the January list useful and that you get to enjoy at least some of the things that I have suggested. Sunday 7th February 2016 is Charles Dickens 204th birthday and, to celebrate, Richard will be donning his Victorian outfit and conducting a costumed guided walk through the streets and alleyways of Victorian London that are still just as they were in Dickens day. This month's video is a rendition of my First World War poem "No Silent Night" which features images from the Imperial War Museum.